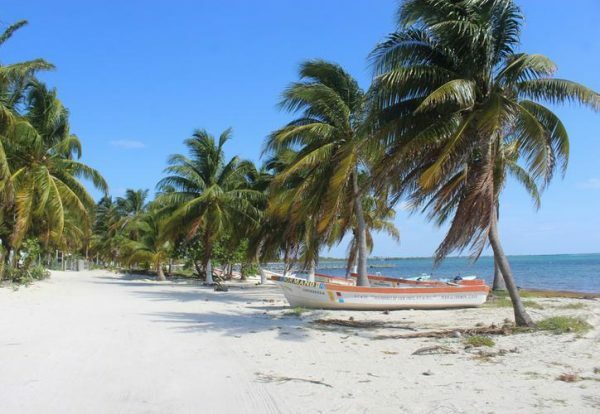 “Maya Ka’an, as a tourist destination, achieved a return on social investment of around 500,000 dollars”, said Gonzalo Merediz Alonso, executive director of Amigos de Sian Ka’an, who said that unlike other destinations, this success is measured in social terms. The investment for this tourist destination over three years has been 1.5 million dollars, so it is important to measure its success in terms of sustainability, social and environmental benefit. This investment has been the product of donations made through Amigos de Sian Ka’an, he said. In Maya Ka’an, a tourist destination in which around 40 companies collaborate, only eight out of eighteen cooperatives integrated to the group known as “Caminos Sagrados” (Sacred Ways) participate actively. “Caminos Sagrados” (Sacred Ways) is a rural society integrated by heirs of the Maya culture, organized in a community tourism network that shares authentic experiences of their living culture and their relationship with nature, in the region that extends from Tulum to Bacalar, in southern Quintana Roo. Merediz Alonso added that as a tourist destination, they opt for a cautious promotion, for a new resort. “It should be consistent with the size and not intended to be massive. Sian Ka’an and the State Government, through the Sedetur, presented the project during the recent tourist tianguis ” he added. The destination is integrated by communities of the municipalities of Felipe Carrillo Puerto, José María Morelos and a part of Tulum. They receive training and resources to strengthen themselves as a community, and they have certifications on specific tactics that will serve to improve their environmental practices. Right now they are working with a consultancy that helps to measure the social return of Maya Ka’an’s investment. “We need to measure the project’s success in social, environmental and sustainable terms, because the number of visitors and the economic spill do not reflect a benefit, ” he acknowledged. Around 800 people receive benefits, with 18 cooperatives, eight community tourism networks called “Sacred Ways”, and it is expected that over time they will develop new entrepreneurship opportunities for rural Maya communities. Regarding the resources of the Global Environment Fund, Mexico manages resources to allocate to three destinations: Baja California Sur, Oaxaca and Quintana Roo, in Maya Ka’an, a proposal headed by Sedetur. Gonzalo Merediz Alonso is confident that next year there will be additional resources to strengthen the Maya Ka’an project and the sustainability of this destination.